Manipur horticulture and soil conservation department on Saturday exported one metric tonne of dry organic turmeric to New Delhi. The North Eastern Regional Agricultural Marketing Corporation Ltd (Neramac) under the DoNER ministry, in collaboration with the Manipur Organic Mission Agency (MOMA), procured five metric tonnes of dry organic turmeric and one metric tonne of black aromatic black rice (chak-hao), which will be airlifted in the coming days. Horticulture and soil conservation minister Th. Shyamkumar said the airlifting of the products are done under the supervision of the department officials. 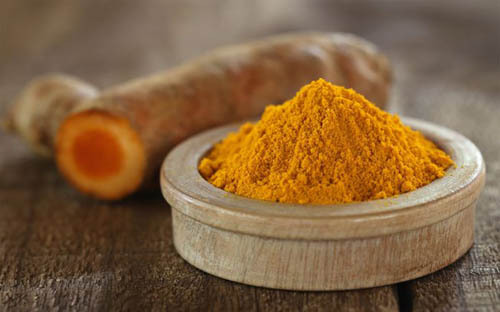 He said the turmeric, which was airlifted on Saturday, has been bought by the buyers in Uttar Pradesh, Delhi and the National Capital Region, who are foreign exporters. Shyamkumar said the organic products of the state will be exported to other states, which will help the farmers of Manipur increase their income and also give them a market place. Around 5,000 organic farmers of the state are engaged in the cultivation of turmeric, ginger, pineapple, black aromatic rice, lemon, orange and king chilli since 2015-2016, reports The Telegraph. Moma works for the central scheme of Mission Organic Value-Chain Development for North East Region (MOVCD-NER), launched by the ministry of agriculture and farmer welfare. Organic produces of Manipur are in high demand in other states. The department plans to export organic produces with proper packaging while maintaining quality check.